I arrived in Turks and Caicos on September 1st, 2018 and could not believe that I was here. I could not believe that, for the next 3 months, I would be able to call this beautiful, tropical island my home. It all seemed so surreal until I had walked out of the airport doors into the blazing island climate. At the airport, Keith Burant, the President of the Turks and Caicos Rugby Football Union, greeted me. Once I had loaded my luggage into the van, Keith so courteously gave me a mini-tour of the island on our way to the villa that I would be staying in for the next few months. After dropping off my luggage and meeting my new roommate David, we headed to Meridian Field for a practice with the men’s national team. 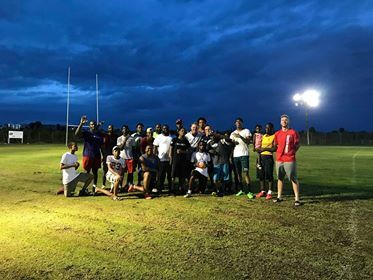 We ran through a full rugby practice where I was thoroughly outclassed in the sport, but nonetheless, the local guys could not have been a more welcoming group of people. 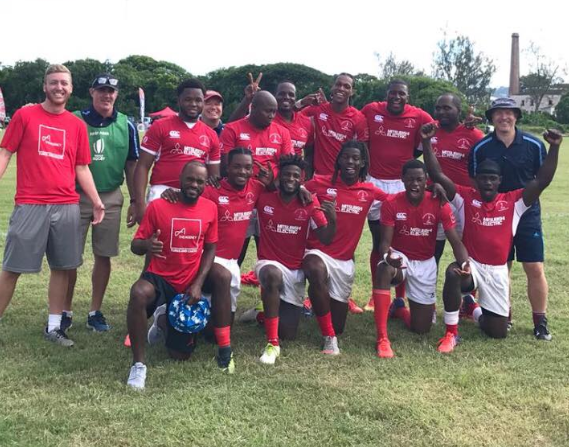 I have been part of countless sports teams in my life, but no team has compared to the family & community-oriented sense that I felt after one practice with the Turks and Caicos Rugby team. Following practice, the team stayed at the field where we had some delicious barbeque food. The guys taught me how to play Dominoes; I ended up winning a couple of rounds that I attribute to beginners’ luck. Any doubts that I had about fitting in during my time here was erased by the inclusiveness that was shown to me my first night. My first week of work at the office was a bit stressful, as I was still so unfamiliar with my surroundings. Though, it was easy to be comfortable in my role very quickly, as some of the guys from the team work directly in the office with me and were eager to answer any of my many questions; Hendriks is one of those guys. 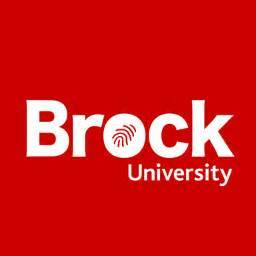 I can consult Hendriks for any inquiries and he always makes sure that I have the information and resources to complete any tasks. The other rugby guy in the office is Franco and he was instrumental in getting me settled in and comfortable in TCI. Franco took time out of his own day to give me a detailed tour of where all the schools, government buildings and other points of interest were located. These two gentlemen are always friendly and made me feel like part of the office and team since the day that I landed, I greatly appreciate their guidance and friendship. My first task was to contact elementary schools and high-schools to set up rugby sessions during the week to build excitement and exposure to Rugby. The initial meetings with these schools had me eager to begin sessions as soon as possible. At almost every school, I had kids running up to the famous Rugby van asking if they were going to get to play rugby this year. The staff and students were so appreciative to have the TCIRFU in their respective schools. – and lastly, organizing tag tournaments to give the schools something to work toward during school sessions. I was lucky to be able to attend the Annual General Meeting of the TCIRFU and observe the process and format of how they are executed. My inclusion in this meeting was very insightful and I was voted into temporary roles with the club. The first role is assisting the Women’s development officer in organizing the women’s training sessions and transportation management. The second role is assisting our Public Relations officer manage the club’s social media and using the island’s local TV station to gain exposure for the TCIRFU. This local exposure will greatly increase the number of kids that come out to Saturday sessions, enabling for more lives being impacted. 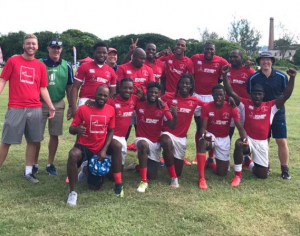 An experience that I will remember for the rest of my life is getting to travel with the Men’s National Sevens Rugby team to participate in a 24-team tournament in Barbados between September 22-24th. I made sure that our team was getting warmed up adequately before our matches and ensuring that the team morale stayed high after some hard-fought games. It was amazing to see so many countries interact in such a respectful manner that promoted sportsmanship and respect. Rugby Americas North accomplished an outstanding tournament and Barbados was an exceptional host to the numerous countries. Unfortunately, Team TCI came up short and placed 5th in our division but the players and staff were proud of the resilience that was shown and will use it as motivation for future tournaments. As for my personal time while on the island, I participate in the social tag league Tuesday and Thursday nights and run youth rugby on Saturday mornings. I often head to the basketball court with my roommate David on any nights I have off, which is always a good workout combined with the island breeze. 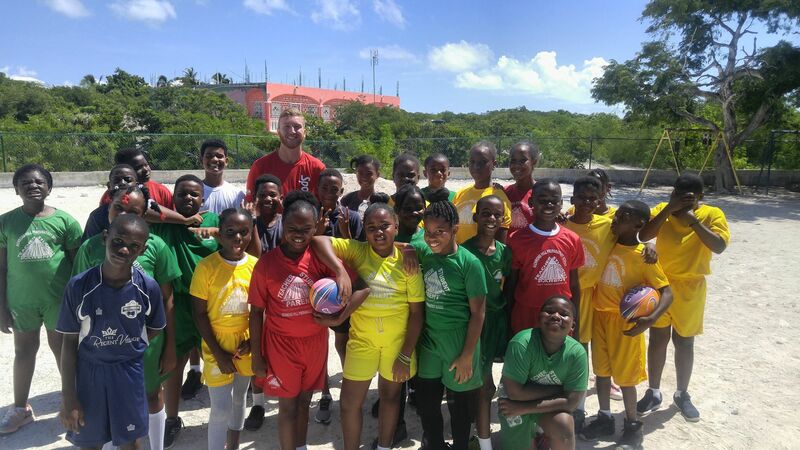 When I am not participating in a sport-related activity, you will find me snorkeling or relaxing on the magnificent beaches of TCI, enjoying the landscape that I get to call home for the next couple of months. I can already feel how hard its going to be to leave.